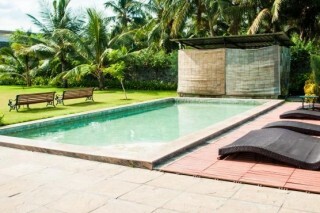 This property is perched between backwaters and bright blue ocean. Stroll along the beach, if the mood strikes you. Race the gulls to the horizon. Step around seashells, and spider crabs. Watch the sun set into the Indian Ocean. Or, take a romantic little cruise along the backwaters. Have a quiet picnic lunch on the banks of a stream. Walk about shooting the birds on film. Come, take advantage. A step into a world of generous luxury. Of wide, open spaces. Tasteful comfort. And the unique restfulness only Nature can provide. A unique blend of hand crafted, rustic stone and polished hardwood, makes every space within the property memorable. With floor-to-ceiling French windows to bring the majestic outdoors even closer. And complimentary Wi-Fi, cable television, and DVD players ensure you never lose touch with the outside world. King Beds And Twin Beds are available for a comfotable stay. 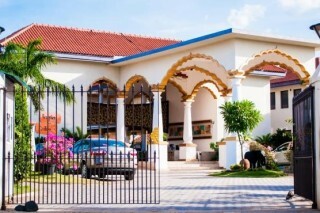 The Villa is airy, spacious, and abounds in thoughtful luxuries. Beautifully hand carved headboards. Chandeliers made of hundreds of seashells. 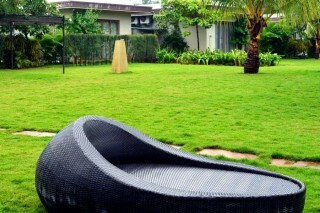 A private pool ensconced in your very own patch of greenery. The Suite is a luxurious escape from it all. 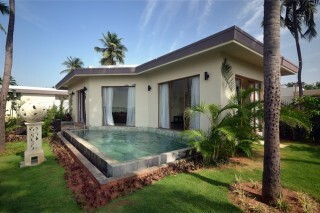 Each room comes with a private sit out overlooking the placid backwaters, and is the perfect spot to while away the hours. Come, take advantage. 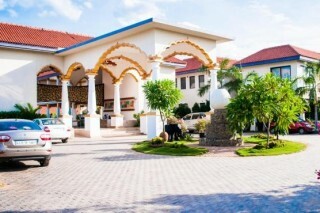 This property is located in picturesque Little Veerampattinam. Pondicherry Museum (11 km approx. ), Sri Aurobindo Ashram (10 km approx. ), Botanical Gardens (8 km approx. ), Bharathi Park (10 km approx. ), Vinayaga Temple (10 km approx. ), Toy Museum (10 km approx. ), Paradise Beach (9 km approx. ), Serenity Beach (15 km approx. ), Sri Varadaraja Perumal Temple (10 km approx. ), Muthu Silk House (10 km approx. ), Sacred Heart Church (9 km approx. ), French War Memorial (10 km approx. ), Arriyankuppam Market (4 km approx. ), Grand Bazaar (10 km approx. ), Shoe Bazaar (9 km approx. 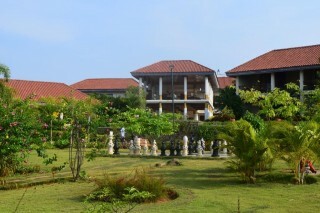 ), Sita Cultural Center (9 km approx.) are popular places of interest. Puducherry Airport- 12km Chennai International Airport: 155 Km approx.